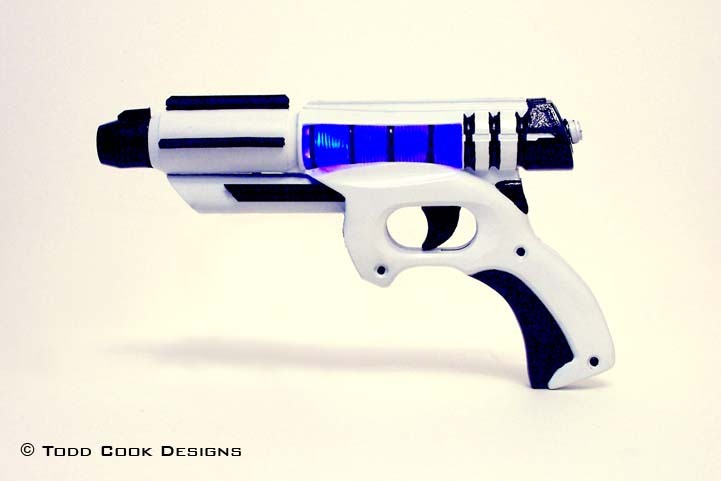 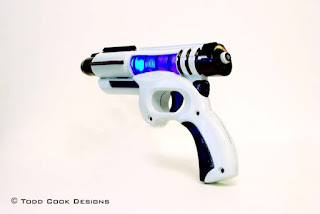 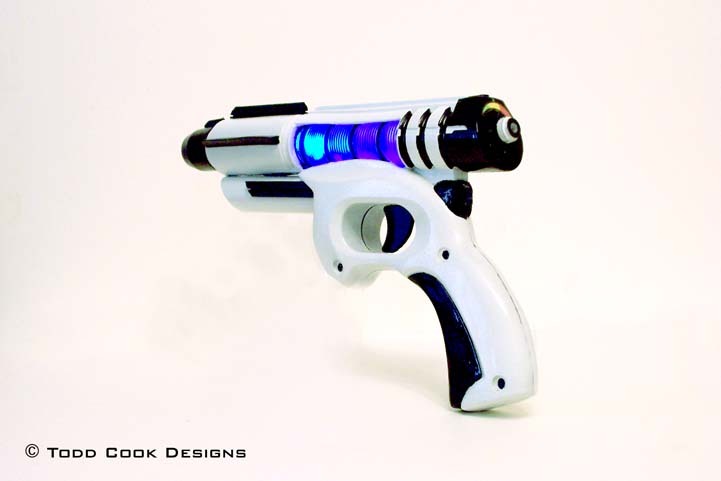 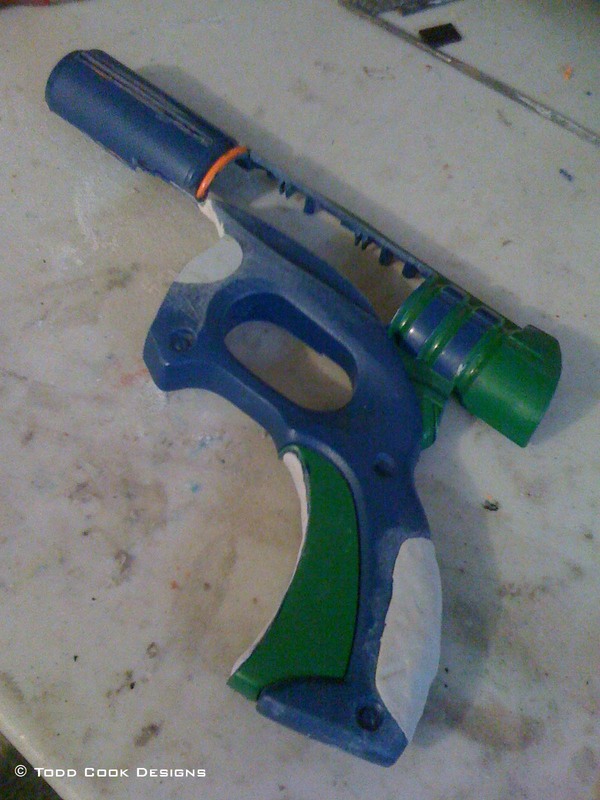 From the beginning, the makers of Voyage Trekkers wanted to have a unique ray gun for their series. 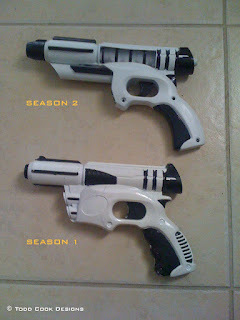 Unfortunately do to time constraints when filming season 1 there was not a lot of time to spend on making custom weapons. 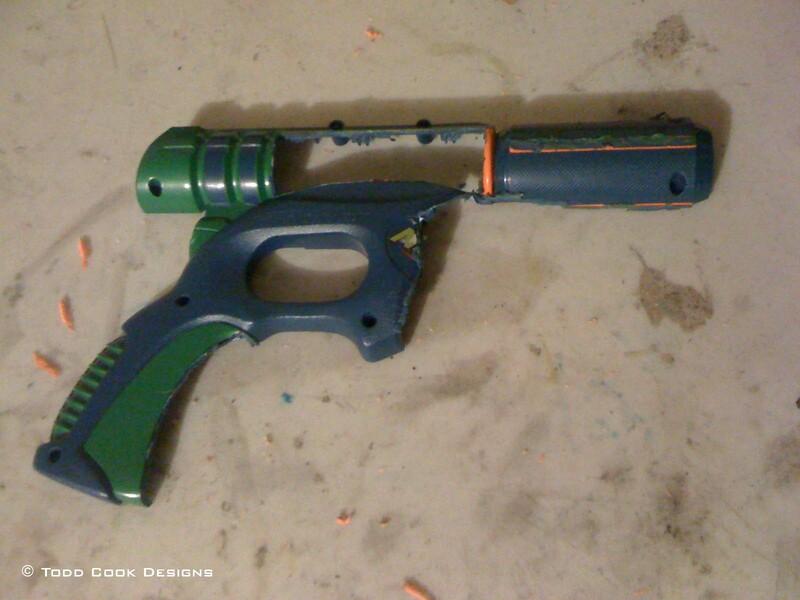 Now that season 2 is in production the creator/director and the head of the art department came to me to redesign the ray gun from season 1. The ray gun from season 1 was basically a nerf gun repainted. 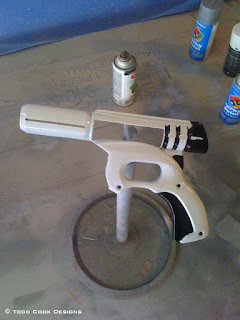 My job was to improve upon the current ray gun, making it more unique to the series. 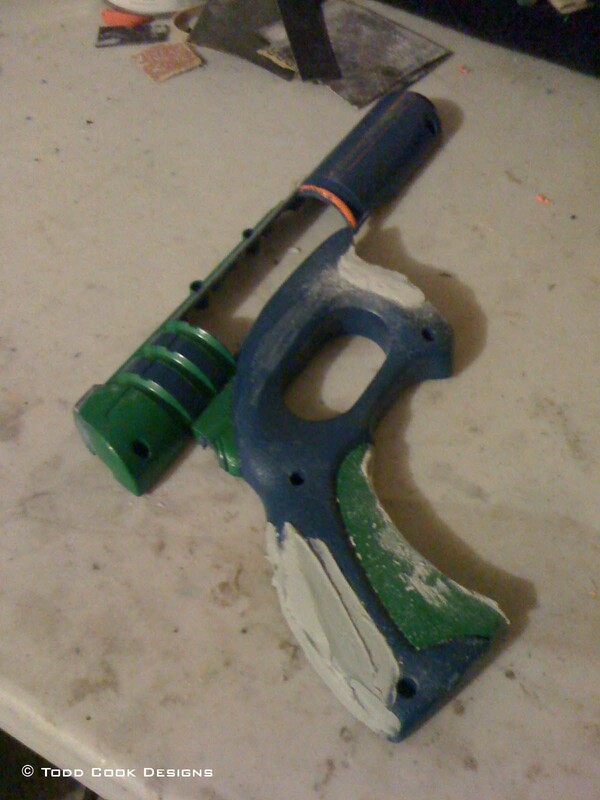 This is the build up to that gun. 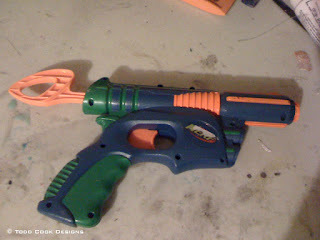 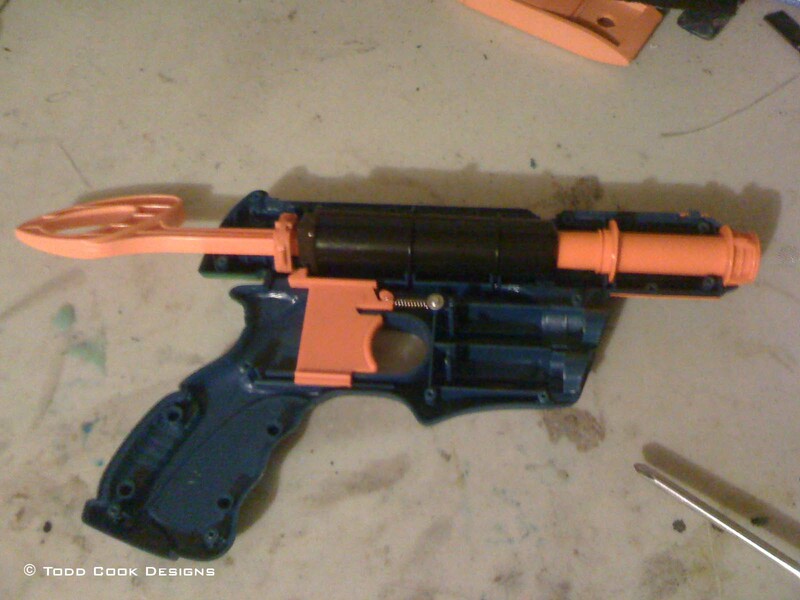 Original unmodified Nerf gun. Same model used in season 1. 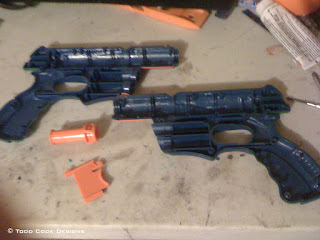 These are all the parts I will use from the original gun. 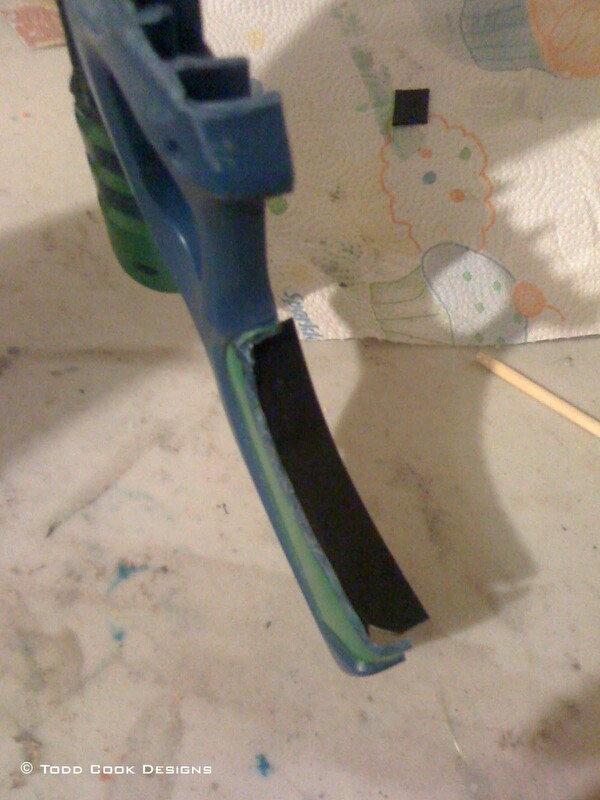 With a Dremel tool I cut off parts of the handle and pieces of the main body. 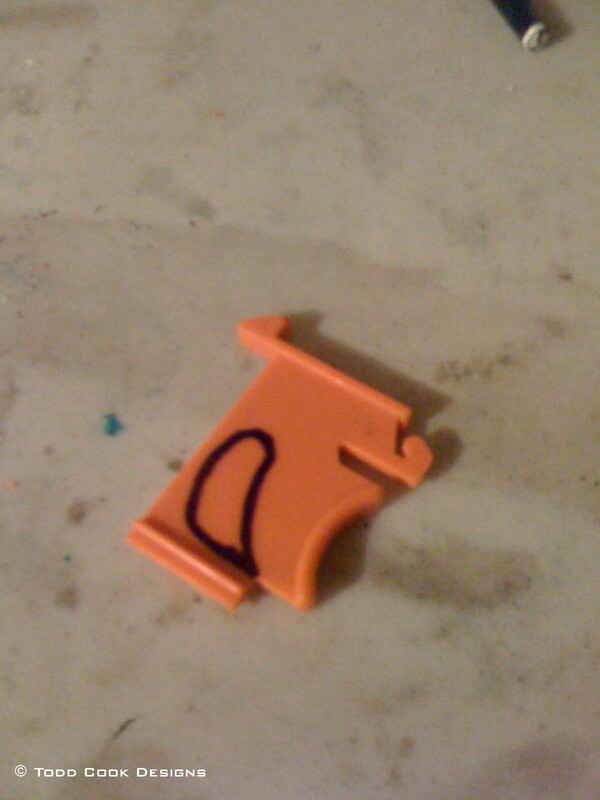 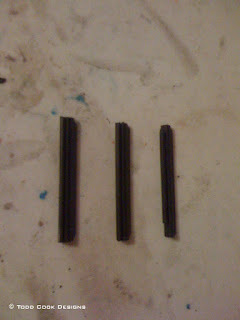 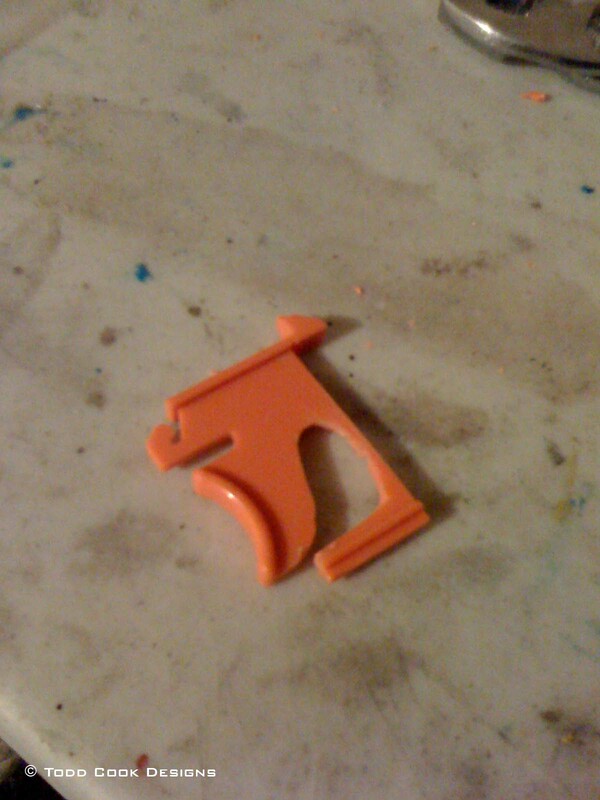 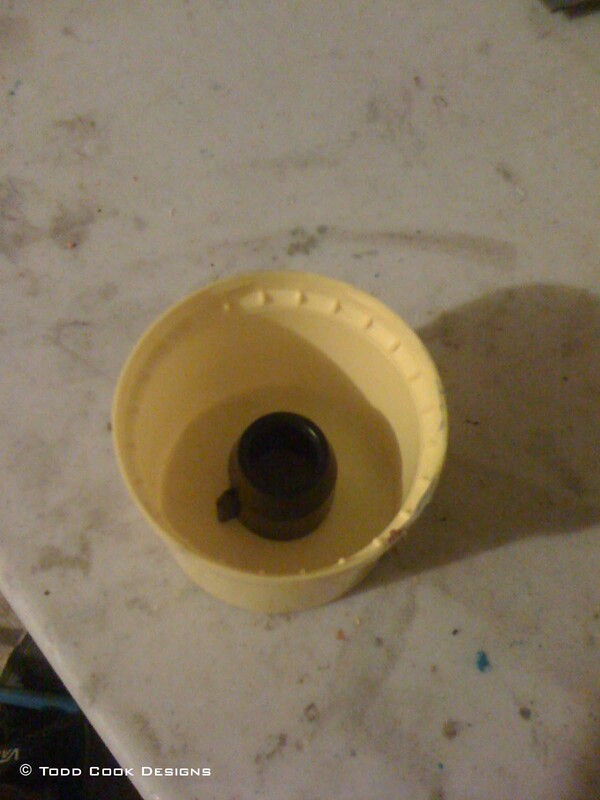 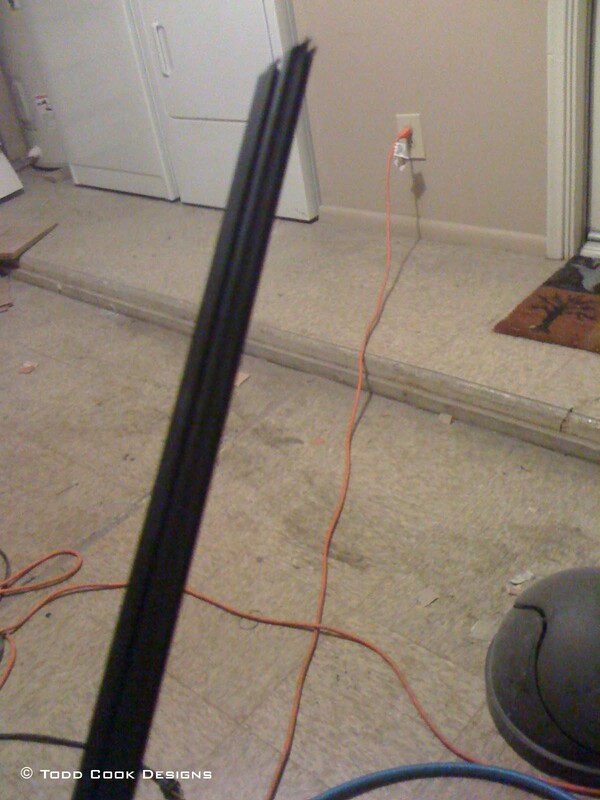 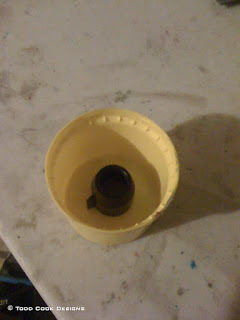 Then I cut a strip of 1/16 ABS plastic and super glued it in place of where the handle was cut. Next step is to fill all the gaps and unwanted areas with epoxy putty. 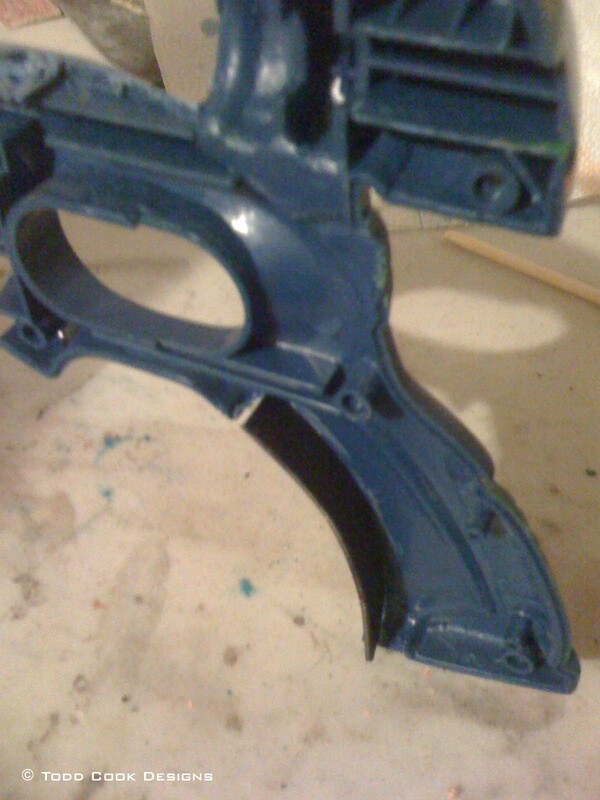 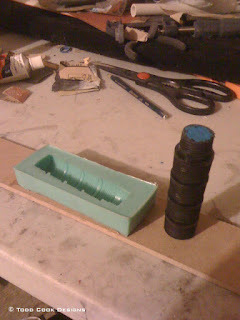 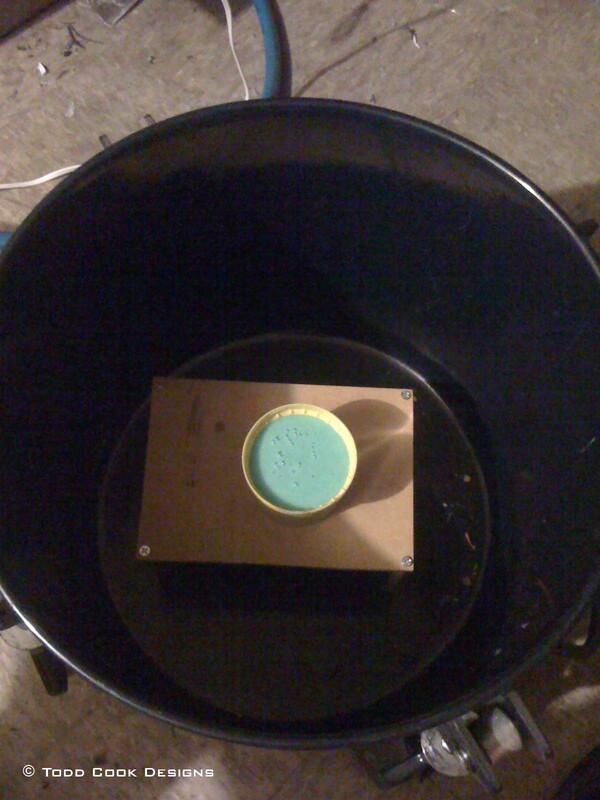 Once the epoxy putty was completely dry I added a thin layer of filler over all those areas to smooth everything out. 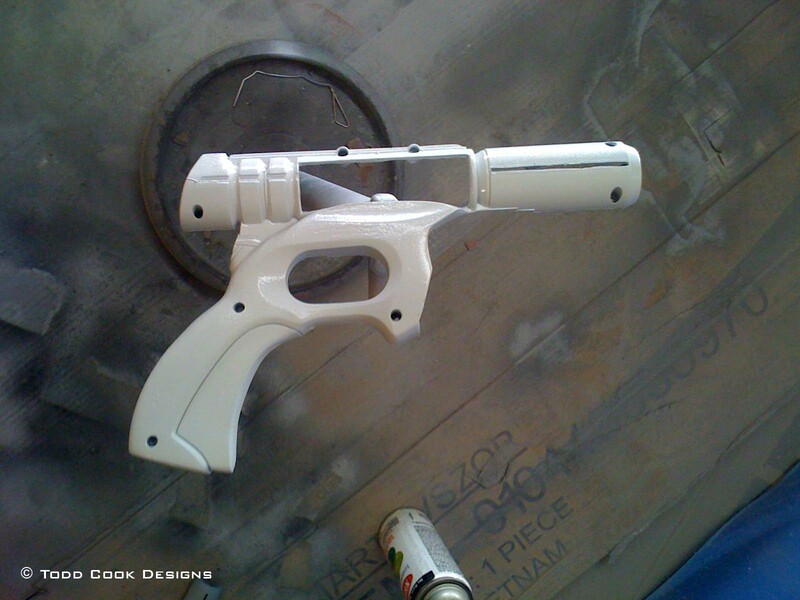 Once the filler is sanded smooth, the body of the gun is sprayed with a coat of primer. Next step was to mark the cut in the trigger and drill it out. Certain found objects used in this build had to be molded because of only have one available (3 guns were to be made) or because I needed them cast in a different material than what the found part came in. 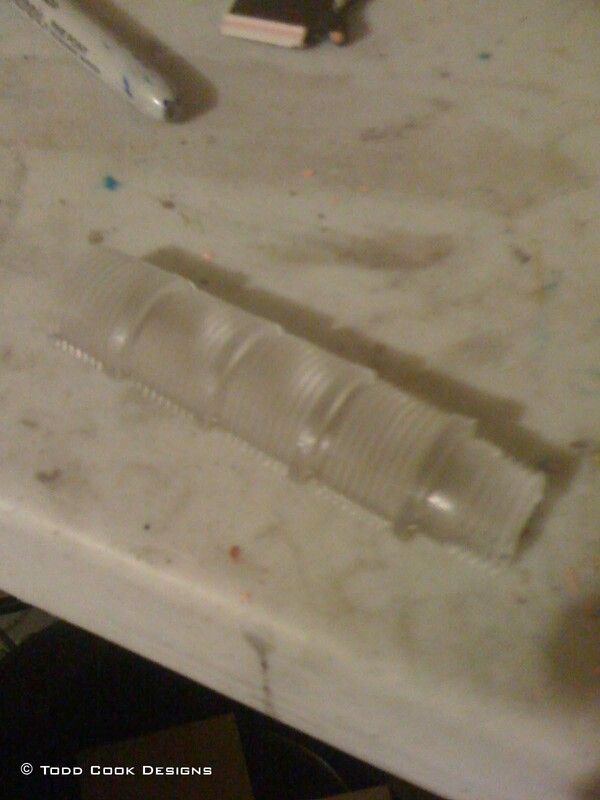 Inner part of the body was cast in clear so it could be lit with LEDs. 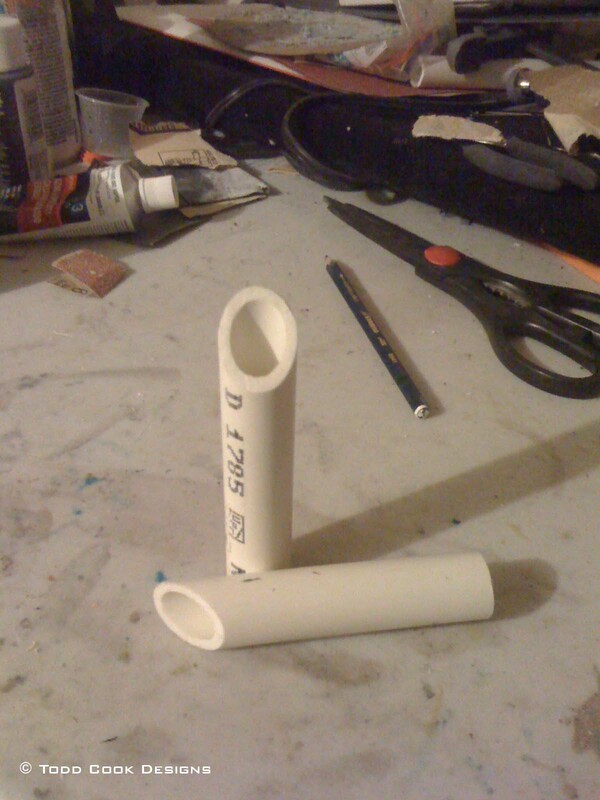 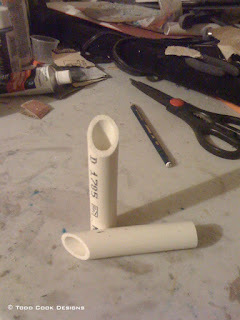 PVC tubes were cut and mounted under the barrel of the gun. 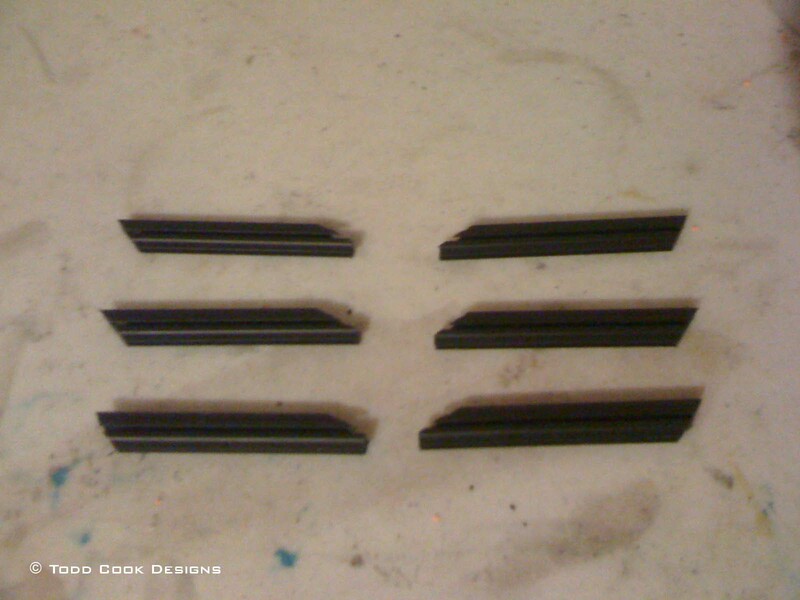 Automotive wiped blades were cut up and used as fins and other details on the ray run. 3 coats of automotive grade white paint applied. 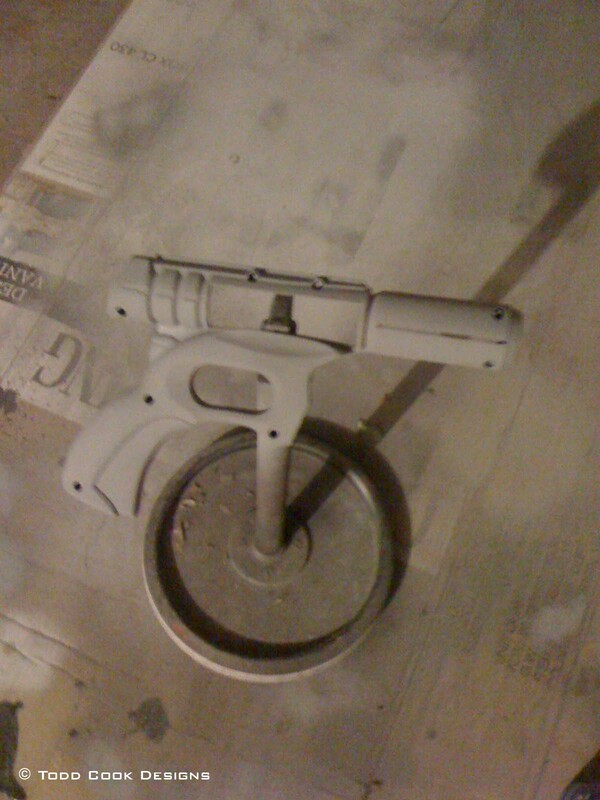 Black parts hand painted in and entire body clear coated. 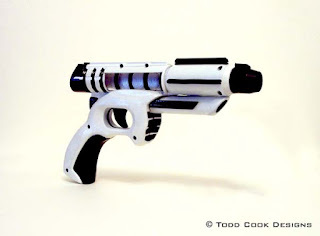 Once the paint was fully cured the entire gun was assembled and the custom LED wiring placed inside. 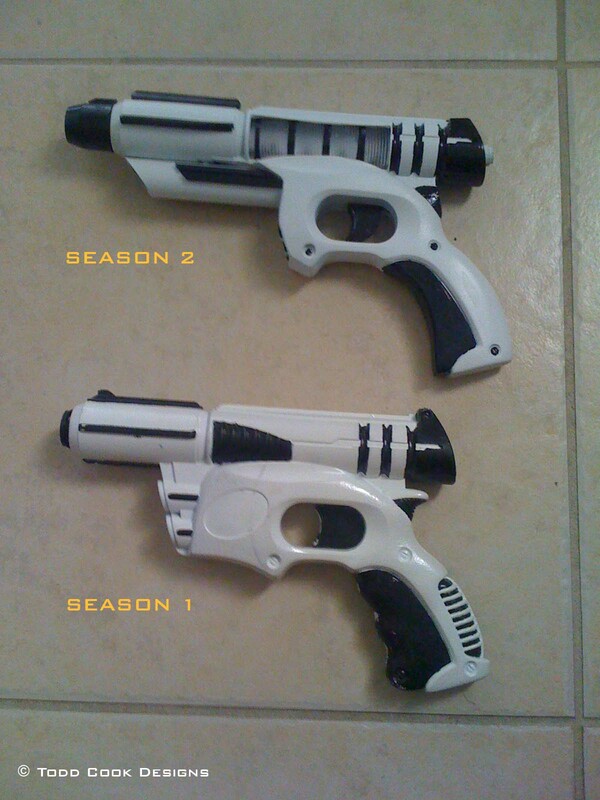 Here is a look at the season 1 ray gun compared to the season 2 ray gun.